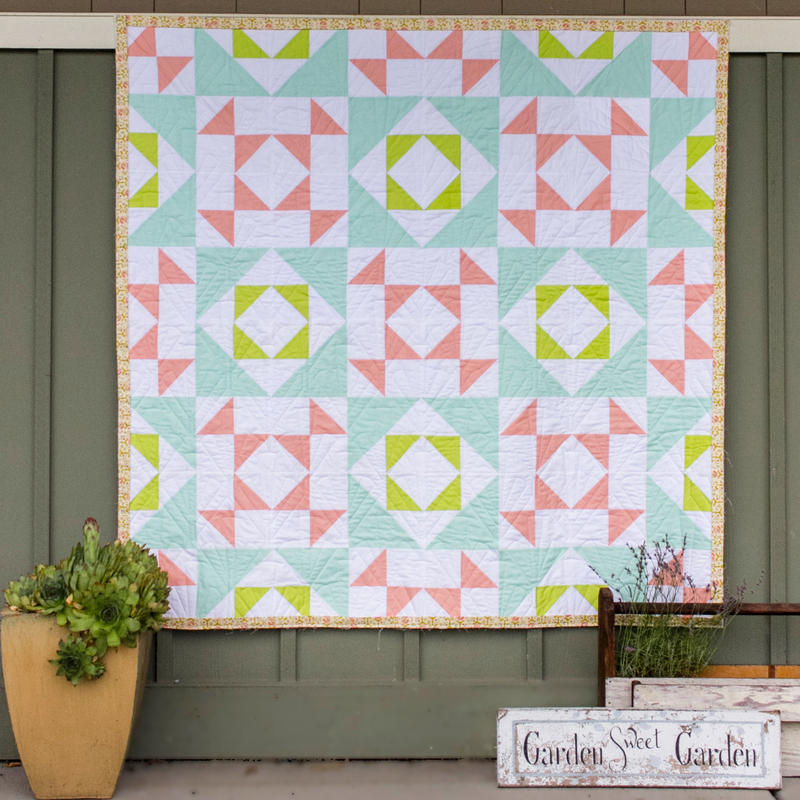 I just released my latest quilt pattern last night: Cactus Garden. All those little crown points reminded me of succulents and cactus spikes, and bringing them all together seemed like a garden of cacti. I actually had this about 3/4 of the way done and then set it aside and forgot about it. So here it is, two years later and I finally finished it up. I still love the colors and design as much as when I started it. 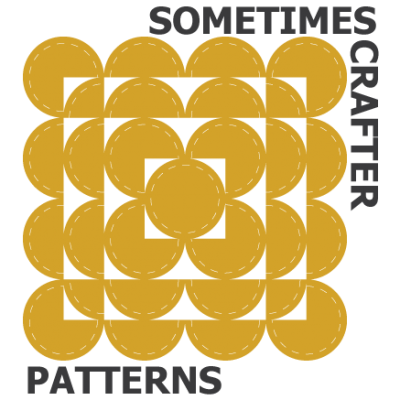 When I design a pattern I want it to be as easy to understand and follow as possible. I want anyone to be able to pick up the pattern and make the item just as they see it. Sometimes that means figuring out new ways to piece parts of a quilt, and sometimes I get frustrated along the way and realize I need to set it aside for another day. 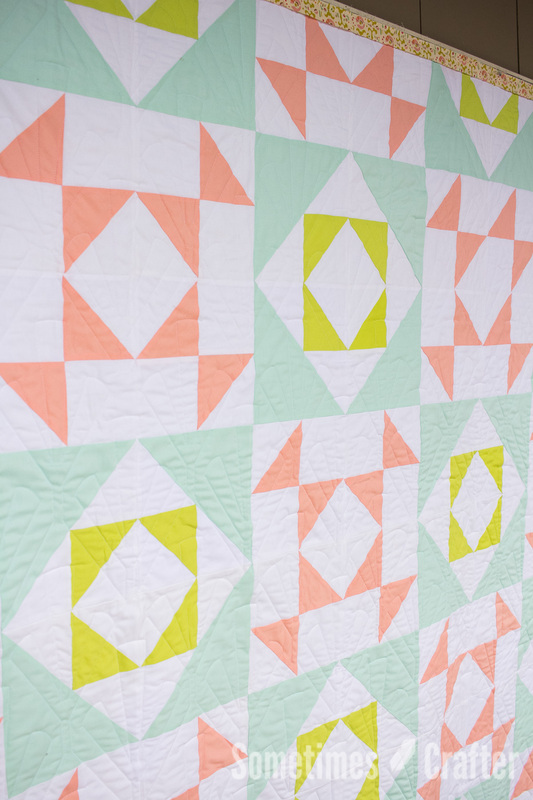 I think that happened with this quilt, but i’m happy to say I figure out the snags I wasn’t happy with and got it to come together. 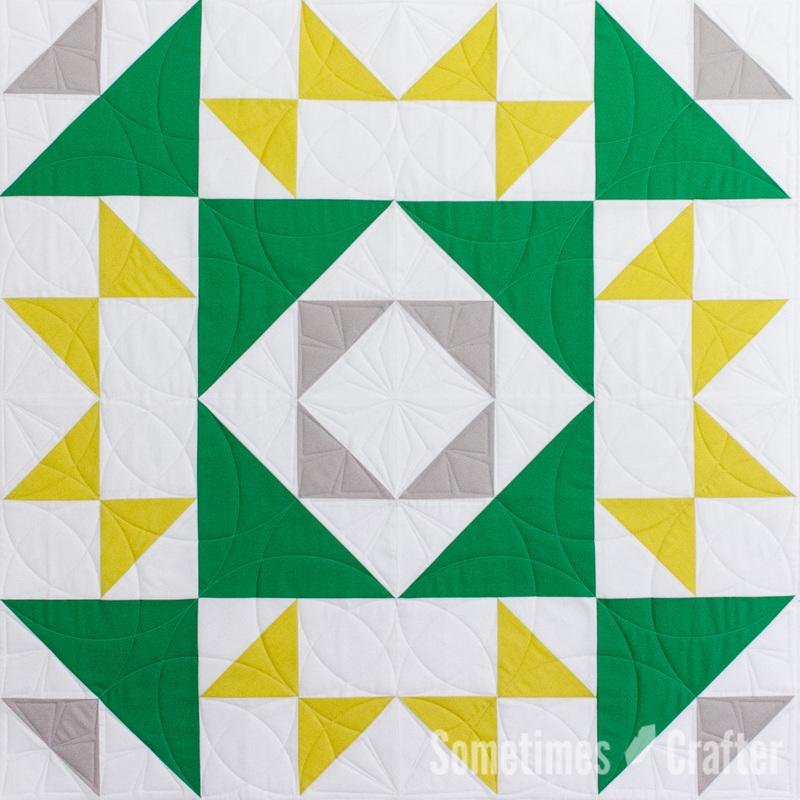 This is a great quilt for a beginning quilter looking to take their piecing to the next level. 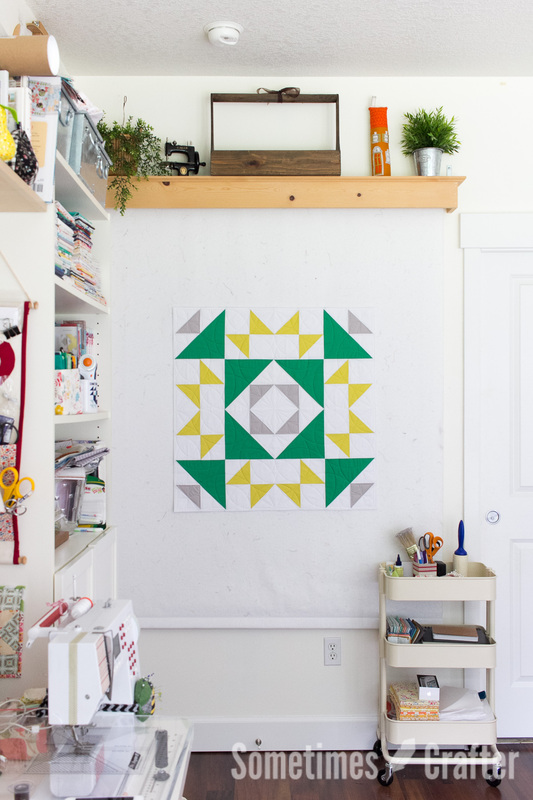 While this quilt isn’t difficult to piece, there are a lot of points coming together and it’s a great way to test those piecing skills. There are two sizes to be made, one is just perfect for a baby quilt and the other is great for snuggling on the couch or draping on a bed. The pattern includes easy to follow instructions with accompanying diagrams, alternate layout ideas and a coloring page for all the sizes and layout options. 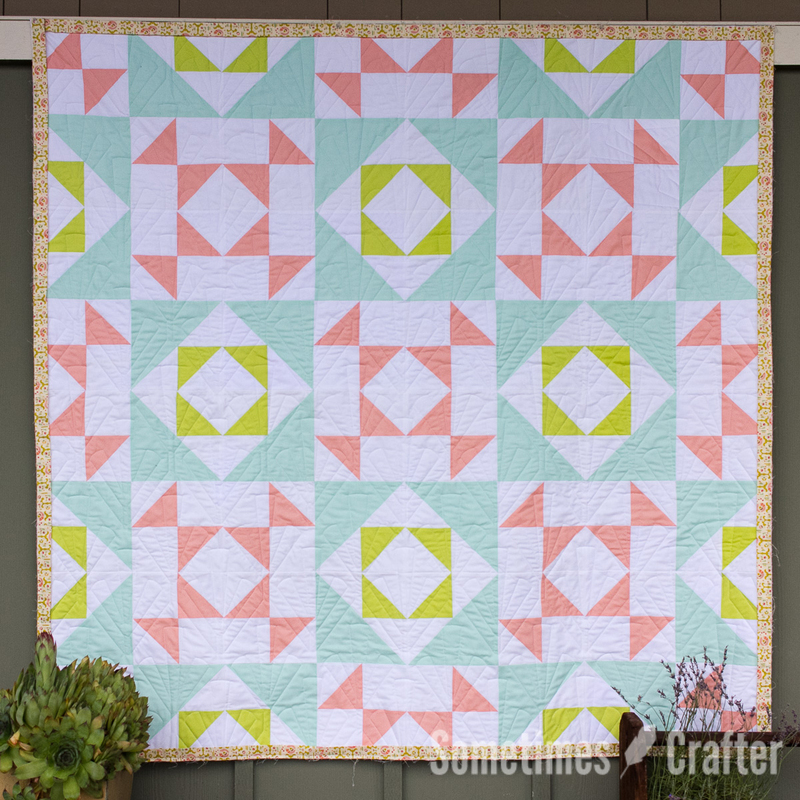 I ended up quilting the throw size quilt with a quilt pattern called Trinity. It reminded me of cactus and seemed very fitting for the feel of the quilt. The smaller quilt I custom quilted with lots of curves to offset all those points. I especially loved how that came together. I am thinking about entering it in the county fair next month. Such a great graphic design, so clean and simple but so effective! Def enter it in the fair!!! love it and will be buying this pattern soon! 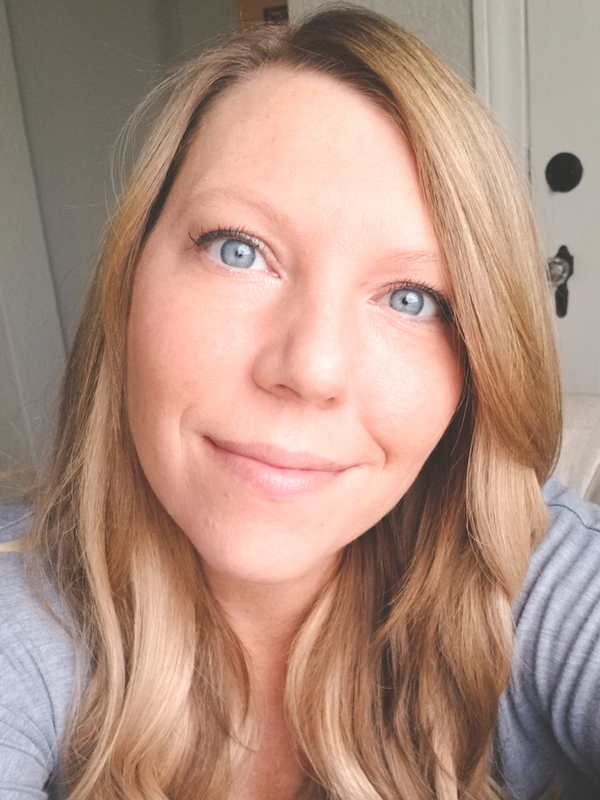 love the colors you used!